A few weeks ago, we were in Phoenix to catering my good friend Glends’s 70th Birthday. It was a total surprise to her for us to be there. While we were there, we stayed with her daughter (Kelly’s) family, which has a huge treat for us. For dinner one night, Kelly made an amazing dish. 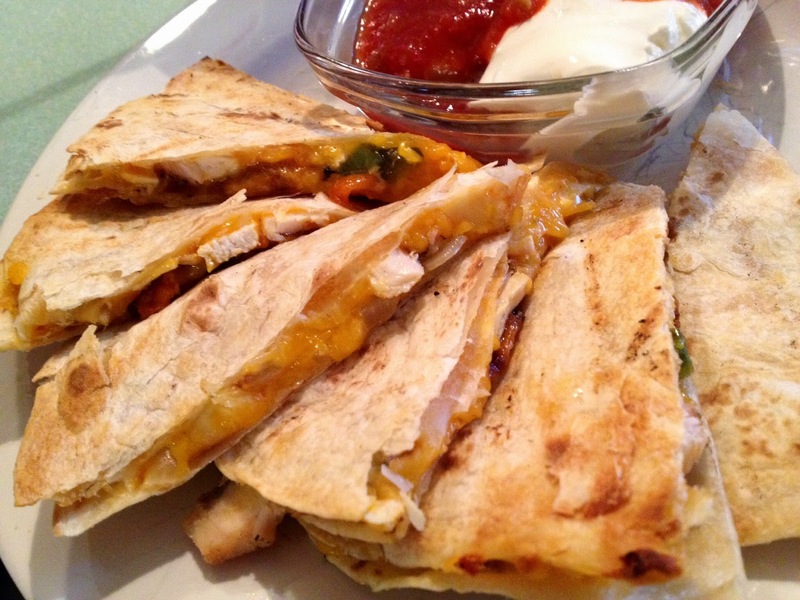 Grilled Quesadilla! I was so amazed I had to shoot a few pictures, and reproduce these when I got home. So last night Craig heated up the grill, charred the peppers, chicken and Jalapeno. 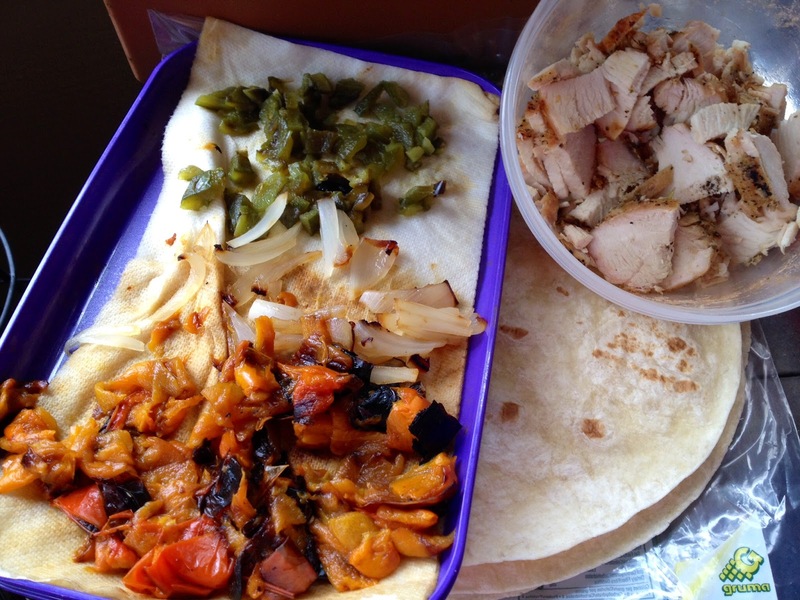 When I got home from work, I chopped up the peppers, onion and diced the chicken, and we were ready….here’s the recipe. Grill all ingredients, Chicken peppers, onion and jalapenos. Let cool, and dice all. Gather all ingredients, and head to the grill. 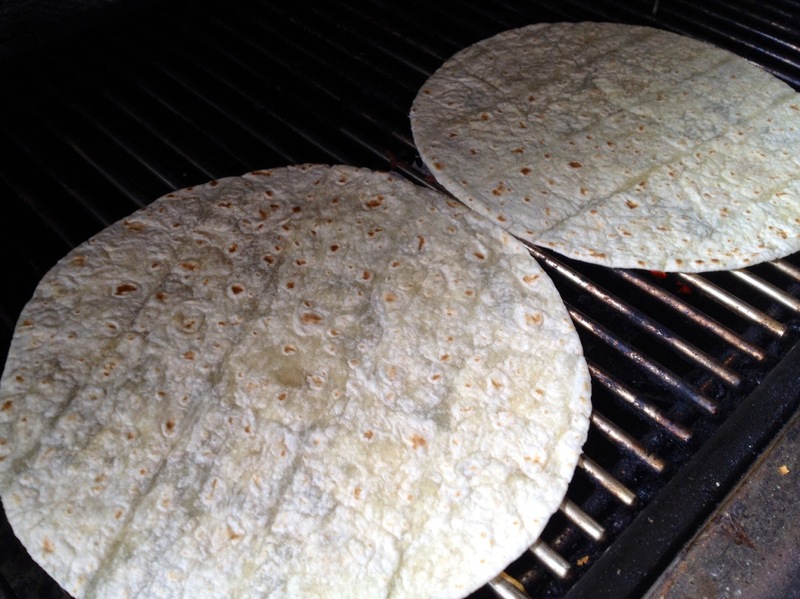 Place 2 tortillas on the preheated grill. 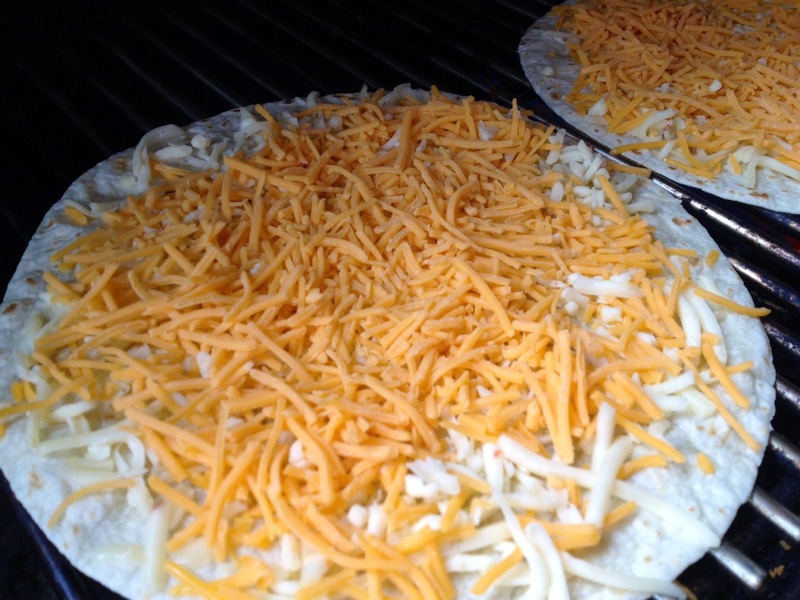 Take a handful on cheese and evenly place over tortilla. 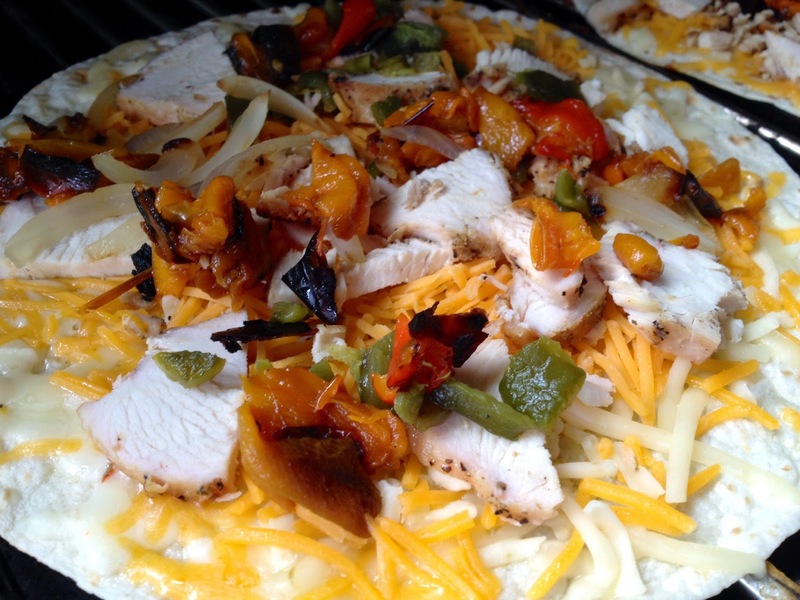 Working quickly, sprinkle peppers, jalapenos, and chicken over cheese. Place another handful of cheese over the top, and cover with another tortilla. take a plate and scoop up the quesadilla, place another plate on top, then flip, and place the quesadilla back on the grill. Grill the new bottom, until it matches the crispyness of the top, which will also allow for the melted cheese. 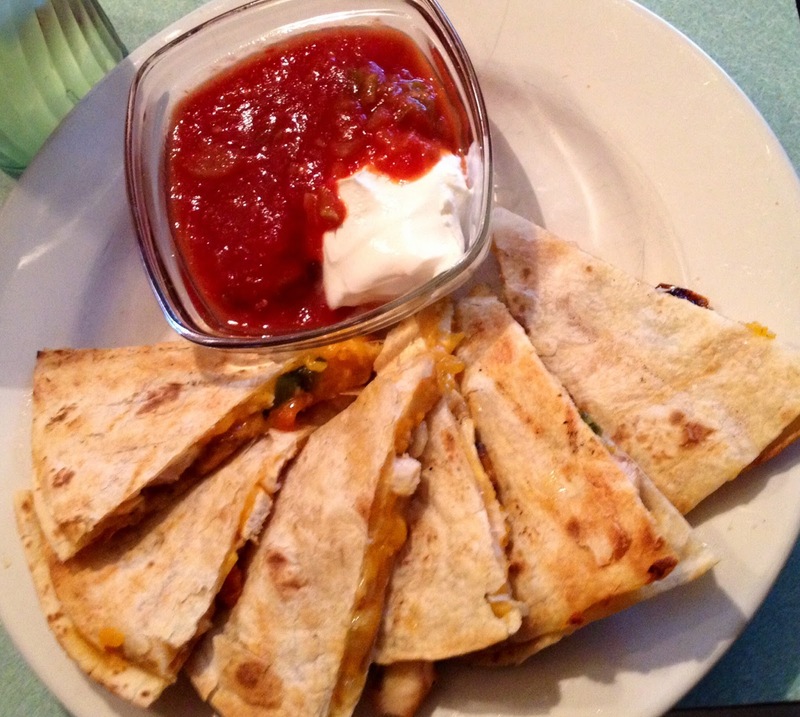 When ready, pull quesadillas, repeat as needed with additional tortillas. Cut into 6-8 pieces, and serve with salsa and sour cream. Perfectly easy to cut with a pizza cutter!! Gather all ingredients, and head to the grill. Place 2 tortillas on the preheated grill. 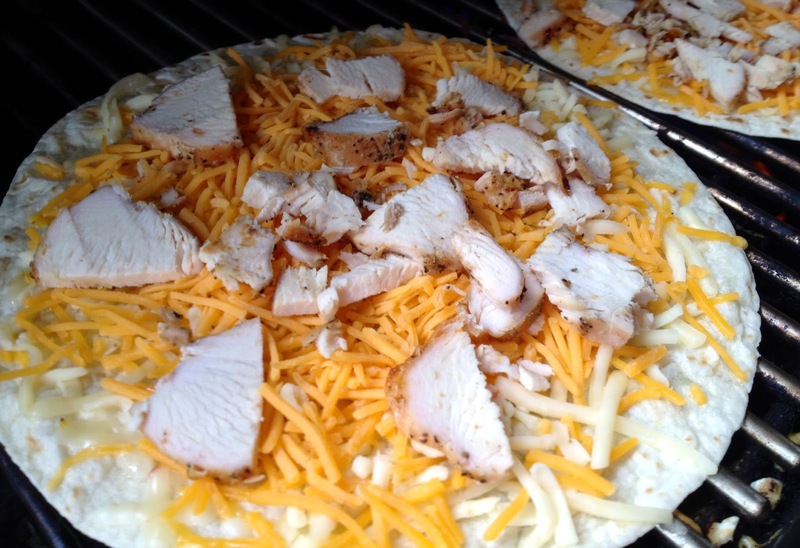 Take a handful on cheese and evenly place over tortilla. 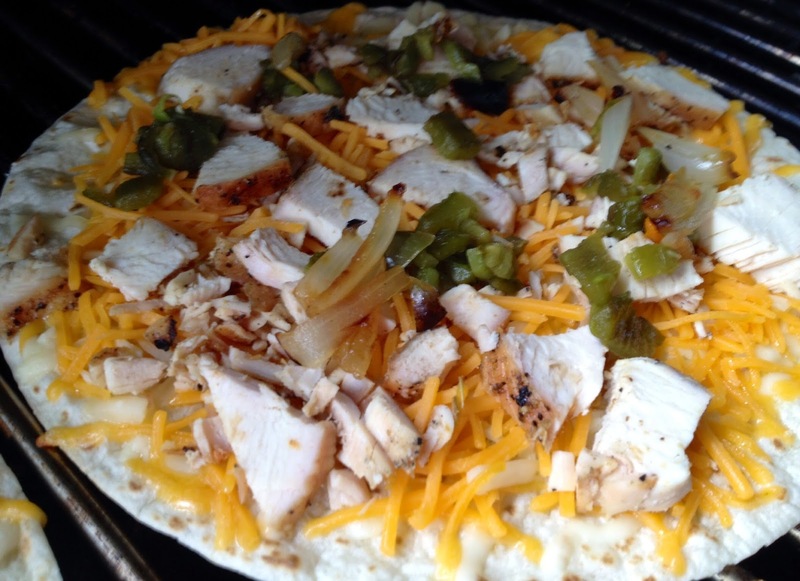 Working quickly, sprinkle peppers, jalapenos, and chicken over cheese. Place another handful of cheese over the top, and cover with another tortilla. Keep an eye on the bottom tortilla, when it’s crispy, take a plate and scoop up the quesadilla, place another plate on top, then flip, and place the quesadilla back on the grill. 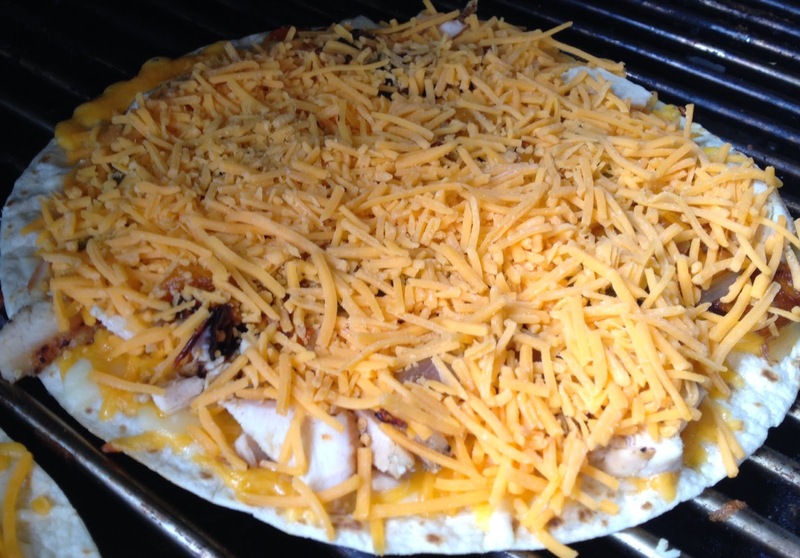 Grill the new bottom, until it matches the crispyness of the top, which will also allow for the melted cheese. 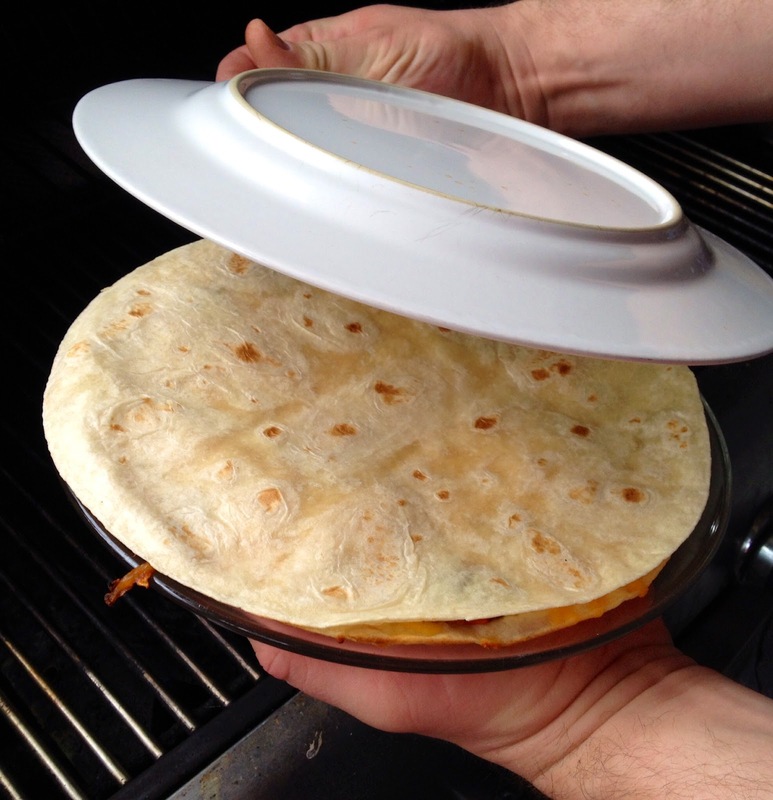 When ready, pull quesadillas, repeat as needed with additional tortillas.